* Collect sperm or ovum. * Collect samples of skin, hair, or nails. * Place small devices or implants in various parts of the body. * Head and neck surgical procedures. * Creation of sexual scenarios. For full details of the vast array and ramifications of the procedures, I recommend you read the definitive works in the area: Secret Life by David Jacobs and Abduction by John Mack. During these procedures the little gray beings seem to function as worker bees. 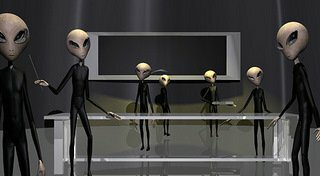 There are also gray aliens and alien/human hybrids who are a little taller and clearly in charge, very much like a doctor in an operating room. 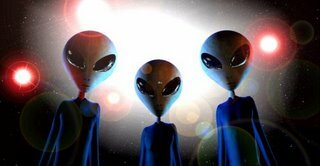 In fact these are the terms the abductees themselves use, referring to the beings present as doctors, nurses, and orderlies. 1. They are mostly neurological and gynecological. 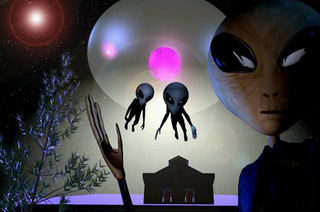 Not once has an abductee reported having his heartbeat or blood pressure checked! So these are not medical examinations in the sense we usually imagine. 2. The aliens still use big ol' needles! What? They can float you through a solid wall, travel to the stars, and they're still using needles?! Abductees routinely report being stuck with large needles during these procedures. After these procedures they just float you on back home, until they come back in a couple of nights to get you again.